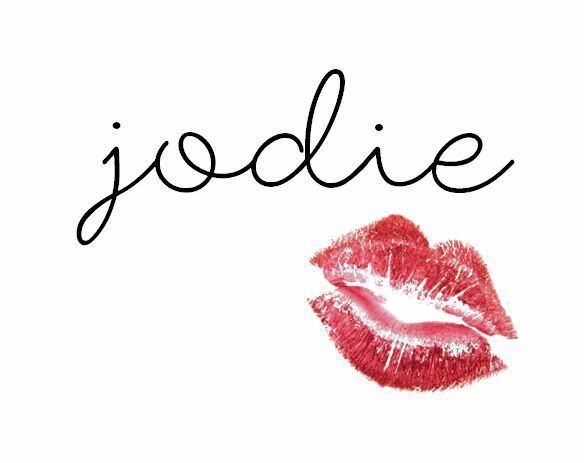 Joie de Jodie: TMI tag! Many of you reading this might not actually know much about me, but what better way to get to know someone than reading 50 deeply personal facts about them, right?! If you don't like this kind of blog post, feel free to skip past it, but I just wanted you to have a clearer idea about who the girl is behind this blog! 1: What are you wearing? Topshop black coated jeans, white silk shirt, navy blue cashmere jumper & socks with cute little gingerbread men on them. 2: Ever been in love? I believe so. 3: Ever had a terrible breakup? Not really. 4: How tall are you? 5'6" / 168cm. 7: Any piercings? Just my ears. 11: Something you miss? Being completely carefree with no responsibilities. 12: Favourite song? Pencil Full of Lead - Paolo Nutini because it is SO HAPPY! 13: How old are you? 16. 15: Quality you look for in a partner? Honesty & trust, sense of humour, ability to hold an interesting conversation. 16: Favourite Quote? "If you have good thoughts they will shine out of your face like sunbeams and you will always look lovely" - Roald Dahl. 17: Favourite actor? Audrey Tautou or Emma Watson or Clémence Poésy or Natalie Portman. 18: Favourite color? Pink, but I only really wear black/white/grey. 19: Loud music or soft? Depends on my mood, but usually the louder the better. 20: Where do you go when you’re sad? My bed. 21: How long does it take you to shower? ~15 minutes. 22: How long does it take you to get ready in the morning? ~30 minutes. 24: Turn on? Shirts & other smart clothing, hands in my hair/cradling my face/on my hips when we kiss, complimenting me, smelling nice, spontaneous displays of affection, nice lingerie. 25: Turn off? Bad hygiene & disrespecting women or anyone else for that matter. 26: The reason I joined YouTube? I didn't. 28: Last thing that made you cry? Em when she was being all cringey and soppy about our friendship. 29: Last time you said you loved someone? Probably today? 30: Meaning behind your YouTube Name? For my blog name: "Joie de vivre" is French for "joy of living" and since I adore French and my blog is mainly about life, I decided to use that but stick my name in it for the lols, then I realised by doing that I was using only the letters from my name which I thought was cool. 31: Last book you read? Lessons from Madame Chic: 20 Stylish Secrets I Learned While Living in Paris - Jennifer L. Scott. 32: The book you’re currently reading? Vernon God Little - DBC Pierre. 33: Last show you watched? Gossip Girl (but in French). 34: Last person you talked to? My mum. 35: The relationship between you and the person you last texted? Emily, one of my best friends. 37: Places you want to visit? Sri Lanka, Thailand, New York, Milan. 38: Last place you were? At college. 40: Last time you kissed someone? Yesterday. 41: Last time you were insulted? Probably today due to the fact I have a little brother. 42: Favourite flavor of sweet? Lemon. 43: What instruments do you play? Flute, keyboard, ukulele, although all pretty badly. 44: Favourite piece of jewellery? A bracelet made by my boyfriend or a ring from my mum engraved with "live, love, laugh". 45: Last sport you played? Tennis. 46: Last song you sang? Blank Space - Taylor Swift. 47: Favourite chat up line? I lost my teddy bear, can I sleep with you instead? 48: Have you ever used it? Only jokingly. 49: Last time you hung out with anyone? Lunch with Em & Ffi today. 50: Who should answer these questions next? Anyone still reading this!